How well the performers cope with the task. How well performers' responses match. Dynamic overlap allows you to save money without setting a fixed overlap for all tasks in the pool. It works for tasks with response options and overlap of 2-5 (for example, classification). The minimum number of performers to assign the task to. The maximum number of performers to assign the task to. The confidence the performer's response depends on the skill value. Confidence in an aggregate response is calculated based on the confidence in each response using a probability algorithm. Output data fields, responses to which will be aggregated. 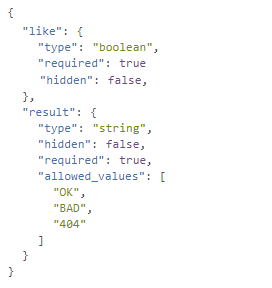 These fields must have fixed values. The confidence in the aggregated response reaches the specified value. To compare the performers' responses, specify fixed values for the output data fields, the responses to which should be aggregated. Note. Arrays can't be aggregated. Create a pool and fill the parameters. Set the minimum overlap in the Overlap field. Turn on the Dynamic overlap option. Specify the Confidence of aggregated answer. The higher the value, the more matching performers' responses are needed for the aggregated response. Set this value at least to 70. Choose Skill for users' scoring. It determines the weight of the performer's response. Check Output fields for answers agreement. Upload tasks via “smart mixing”, otherwise the pool tasks are assigned with minimal overlap. After the pool is completed, start Aggregation of results by skill. Note. Approximate budget in the pool statistics is calculated based on the minimal overlap. Configuring dynamic overlap for simple classification. 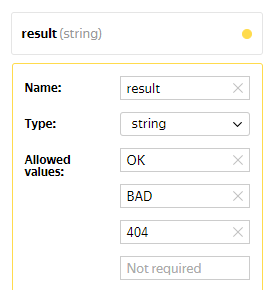 The result has 3 allowed values — OK, BAD and 404. Performer A with a skill value 70 responded with OK. Performer B with skill value 90, also responded with OK. The confidence in the aggregated response OK is 97.7. The task is considered completed. Performer B with a skill value 90 responded BAD. The confidence in the aggregated response BAD is 76.1. The overlap is increased by 1. Performer B with a skill value 80 responded with BAD. The confidence in the aggregated response OK is 96.2. The task is considered completed.